The South Korea Ministry of Health has reported (computer translated) two additional cases of Middle East Respiratory Syndrome (MERS), bringing the total cases in the cluster to 15. 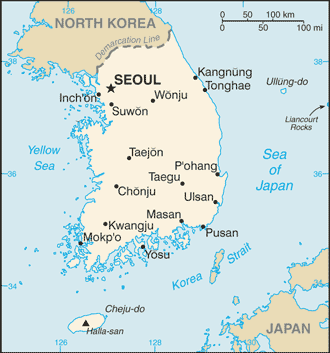 On 20 May 2015, the National IHR Focal Point of the Republic of Korea notified WHO of the first laboratory confirmed case of Middle East respiratory syndrome coronavirus (MERS-CoV) infection. The first case was a 68-year-old man who traveled to Bahrain. Out of the 13 other patients, 10 were reported in the hospital where the country’s first MERS case was confirmed on May 20. One of the cases is a Korean national who was diagnosed in China. The Korean Yonhap news service reported rumors and fearful comments about MERS and how it is transmitted are circulating through social network services, apparentlyreflecting growing worries about the virus. The Health Ministry said it will take “stern” action, including launching police investigations, against those who intentionally spread groundless rumors about the disease. Globally, WHO has been notified of 1147 laboratory-confirmed cases of infection with MERS-CoV, including at least 431 related deaths.